More Reviews, More Clients – Survey Results 6,283 Participants. I’ve used TimeMatters since 1998 and love it. I cannot imagine practicing without it. I recently invested a lot of time inspecting and trying the latest online practice management systems and not one comes close to the power of TimeMatters. I will continue to use TM indefinitely because I must have its power to help me make more money. 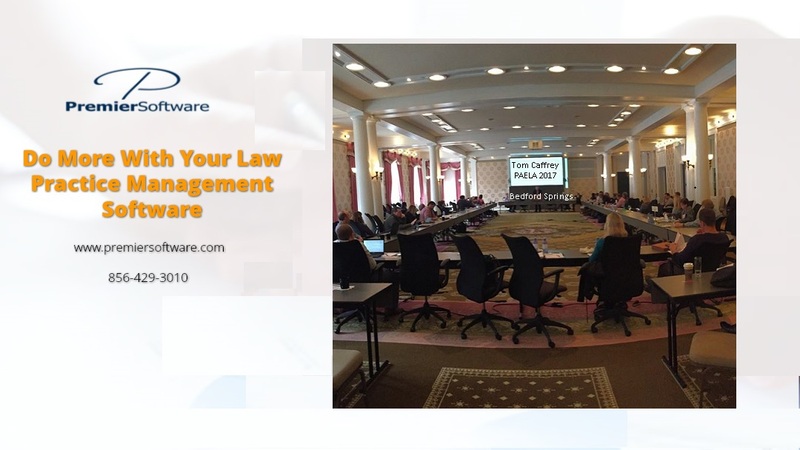 My small three lawyer firm has 16,000+ people and clients in TM plus 190,000 documents saved in the TM document management system. We can find a person in TM and see their phone number or email address in a few seconds. Everything relevant to that person is available in a few clicks. I can search the 16,000+ contacts for Simpson and select Homer Simpson then click on the related tab and see the name of the three LLCs I created for him. Next I can click on one of the LLCs and click related to find out who the CPA is for that particular LLC. I then click on the CPA’s name and it opens the CPA’s TM record where I see the CPA’s phone number and email address. I can call the CPA and make a record of that call in the LLC’s contact record. I can also click on the CPA’s related tab and see that the CPA is the CPA for 15 other LLCs I created. Based on that I will call the CPA for lunch and do some marketing to the CPA. TM allows us to keep everything related to a client in the client’s contact area. When I look up a client I can see what was discussed during every phone call in and out, every document in the client’s file including pdfs and Excel files, every email message in and out, calendar events, to dos & ticklers, websites relevant to the client, notes made by us concerning the client and other people and companies related to the client such as the CPA or opposing counsel. If I click on the email tab I see and can access all client email messages. If I click on the Documents tab I see all documents organized by tabs. If I then click on the Operating Agreement tab I see all versions of the Operating Agreement for the client and can right click on a document to open it or check the box to the left of the document to email it. TM has approximately 200 fields that can be customized to be any type of field you desire such as a text field, drop down list, date field, email field, etc. I have customized TM fields to do many important tasks. For example to help us track estate plan prospects I created the following custom TM fields: date of 1st contact, type of contact (drop down that includes office visit, phone call, website, referral and other choices), date the person was entered into our automatic follow up email marketing system called Infusionsoft, date we mailed the prospect my hard copy book called “Family Asset Protection,” dates of my 1st, 2nd and 3rd follow up calls and a note field I can insert any text. TM is a fabulous marketing tool. As estate planners, we must market if we want to increase our review. I also created a custom tab for the Contact records called Estate Plan Prospect. When I click this tab I get a list of all the people who are estate plan prospects starting with the person whose first EP prospect contact date is the oldest. I configured TM to display in spreadsheet format all of the custom fields mentioned above. The TM screen lists the name of every contact in the first column. The next column is the date of first EP prospect contact. The other columns displayed are all the custom EP data fields. This fabulous screen allows me to get an overview of all estate planning prospects and see where each prospect is in the pipeline. If I see somebody that has not had a first, second or third call I will call that person and make my marketing pitch and mark the date of the call in TM. When I click the tab called Estate Plan Prospect the display shows only people who have the code EPP entered in their code field. The ability to create multiple codes for a person or company gives you a lot of power to track and display data. Very soon TM will add a new feature I’ve been waiting for: the ability to check a box next to documents saved in TM’s document management system and have the selected documents uploaded to the cloud to TM’s secure server so that we can send an email to selected people in the TM contact database to give them a link, user name and password to login and access the documents on TM’s server. TM does much more than what I have described above. For example, I can prepare a letter in Word that includes merge fields and save it in TM. I can then do a look up in TM for every estate plan client who signed between (pick a date) and (pick another date) and TM will generate a custom letter to each client by doing a merge of the data fields into the Word document. A great way to do mass, but customized mailings. There’s two ways to buy TM, the right way and the wrong way. The right way is to buy TM from the best TM consultant, a man named Tom Caffrey. You should also buy his TM in a box, which is TM installed on a shoe box size server with one terabyte data storage. I bought TM in a box from Tom Tom sent me a package that had the little server in it. Our IT guy connected it to our system and Tom’s TM guru JP configured it remotely for us. The wrong way to buy TM is any way that does not involve Tom Caffrey. For TM to work properly you must have it set up and configured by a true TM expert. If you use anybody else you will become one of the TM haters who complains about things not working right. Call Tom Caffrey at 856-429-3010. P.S. Client data is a gold mine, but you can’t mine the gold unless you have a system to compile the data and that allows you to use the data for marketing. In re A Boring Five Star Review vs. a Great One! Premier Software - NJ, Inc.